If you’re like me, you probably grew up eating a lot of breakfast cereal. Remember all the T.V. ads proclaiming that cereal “was a part of a healthy breakfast”? The commercials used to show happy kids munching away on sweetened puffs with a piece of fruit and everyone thought, what a convenient way to get kids to eat something “good” before they head off to school. And why wouldn’t our parents think that? The marketing machine behind the breakfast industry is massive! Companies have been selling these products as a healthy option for years. It can be tough for parents to know what to think when they are being manipulated by a deceptive multi-billion dollar industry. Look down any grocery store’s cereal aisle and you’ll see boxes that say things like “Heart-Healthy” or “Good Source of Fiber”. But when you did deeper into the question, is cereal cereal healthy? the reality is a little different. Many cereals are actually highly processed grains, drenched in sugar, doused with artificial coloring and preservatives. How can this be healthy for kids? The short answer… it isn’t. It’s cheaper than making the cereal taste good in a natural way. It hooks people on the product. And by people, I mean your kids. 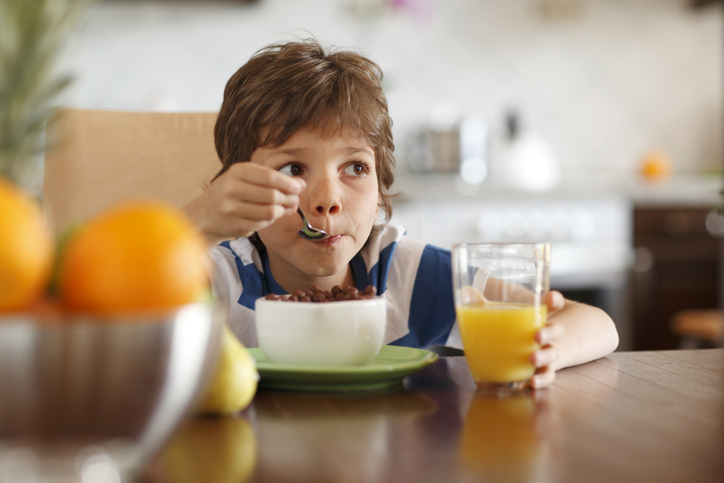 Just how much sugar is hiding in your kid’s cereal bowl? 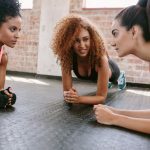 Try more than Twinkies and chocolate chip cookies, according to a report from the consumer watchdog, Environmental Working Group (EWG). Let me break it down for you. Here’s the sugar content of some popular breakfast cereals by weight. 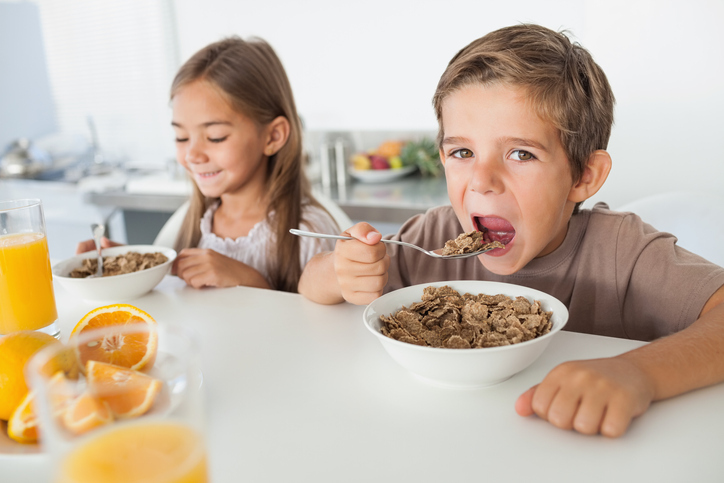 One study found that breakfast cereals high in sugar can contribute significantly to kids’ overall total sugar consumption. In addition to having no nutritional benefits on its own, that added sugar can also increase the risk of tooth decay, weight gain, and heart disease. Is cereal healthy? Not if it has this much sugar in it! That’s what we meant by potential dangers at breakfast. Did you ever wonder how they make cereal into those cute little shapes kids love? We did. So how is cereal made? While researching ‘is cereal healthy’ we discovered that it’s done through a process called extrusion. Grains are mixed with water and treated with very high heat and pressure , which destroys most of their nutrients. The extrusion process also destroys the synthetic vitamins manufacturers add at the end. What does this leave you? Basically, a bowl of highly refined grains that have been processed to where they are pretty much useless to your body. Then they add artificial colors and spray it with a coating of oil and sugar to make it taste good and seal off the cereal from milk to give it a nice crunch. Ummm…..no thanks! Also consider that, unless labeled explicitly, corn and soybeans produced in North America almost certainly contain genetically modified products. Genetically Modified Organisms (or GMOs) are “organisms in which the genetic material (DNA) has been altered in such a way that does not occur naturally” according to the World Health Organization. GMO crops are also engineered to be “herbicide tolerant”, meaning they are specifically designed to be sprayed with nasty herbicides that can end up back in your food. Corn flour, corn fiber and some soy can make its way into a lot of breakfast cereals. Is cereal healthy? Not if you’re trying to avoid GMOs. To avoid this possibility, choose certified organic cereals or check out the following link for a non-GMO shopping guide. When it comes to these sugary breakfast cereals, just say no. Start a breakfast revolt in your home kitchen and try out some healthier options! Like plain organic Greek yogurt with fresh fruit, whole grain pancakes, pastured organic eggs, sprouted whole grain toast, steel cut oats, etc. Or look for cereals that are low in sugar and sodium, have “whole grains” as the first ingredient, and are organic (to avoid GMOs). Sugar lurks in many forms, so watch out for catchphrases like high fructose corn syrup (HFCS), honey, brown sugar and dextrose – it’s all sugar. The higher it is on the ingredient list, the more of it there is in the box. Also In Beenke: How Can I Spot Hidden Sugar In My Food? Most breakfast cereal is closer to a slice of cake than a healthy breakfast. Cereals are often loaded with sugar and not a good source of vitamins or nutrients. There are other great (and healthy) options out there for breakfast; such as organic greek yogurt with fruit, whole grain pancakes, pastured organic eggs, sprouted grain toast, steel cut oats, etc. Experiment to see what your child likes. If you do want cereal, read the nutrition label carefully, look for: whole grains, natural ingredients you can identify (the shorter the list, the better), low sugar and sodium, no corn or soy (unless organic), high fiber and protein. SHARE is cereal healthy? Potential dangers at breakfast on Facebook and Pinterest by clicking the buttons below.